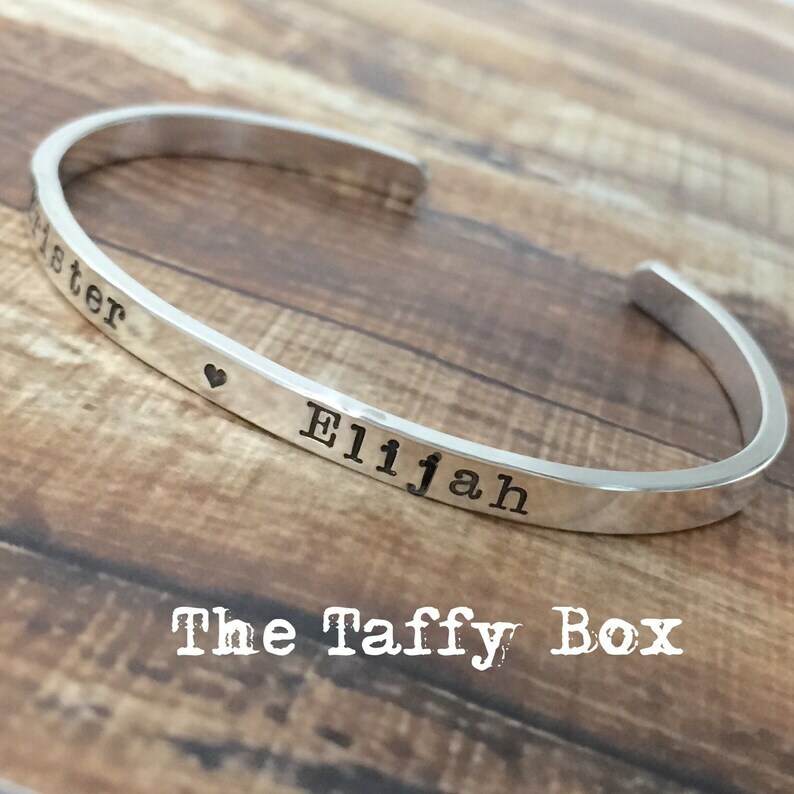 Thick sterling silver cuff bracelet is personalized with up to 30 characters/spaces. 2mm thick and 4mm wide, curved ends for a comfortable fit. Small heart stamp available if desired as an accent.